Can’t refresh and see new mounted directory contents when connected to a server with macOS Finder? Here’s my quick solution to the problem..! 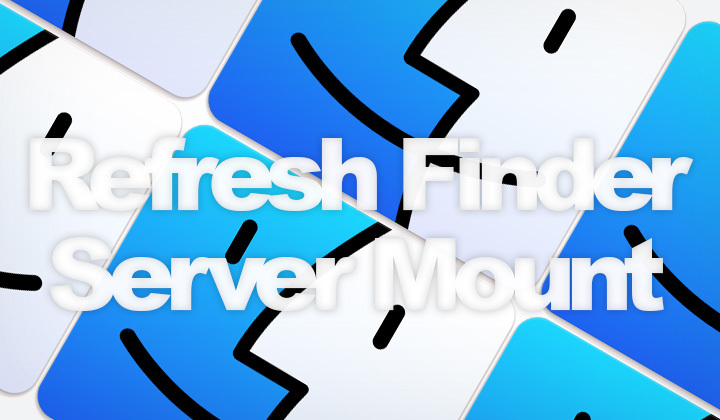 It had been bothering me for years, how I could not refresh the directory contents of an FTP or SFTP mounted server directory with the Mac’s Finder app. Whenever there were new or edited files and directories added to a previously accessed directory, changes could not be refreshed manually and would almost never update automatically in Finder. For my mounts, I’ve been using the Transmit app. Which is about the only Macintosh FTP client anyone should ever need. However this limitation seems to be of the Finder application itself. While not the most pretty work around, I finally figured out that if you make a temporary folder or file inside the folder, it will force finder to refresh the contents of that same directory — it’s that simple. With this quick shortcut you can easily create a directory and remove it after. do let me know in the comments if there ever is, a “better way”? It’s worth noting that some of the contents on my blog have affiliate links in them, which means that you could be supporting a good cause. Thank you!